This kit consists of interlocking laser cut 1/8” MDF and 1/16” laserboard. All parts are tabbed and insert into each other for a very stable model. Windows include peel n stick adhesive for ease of assembly. Coal drums, sand pipes and sand pipe joints are resin cast. 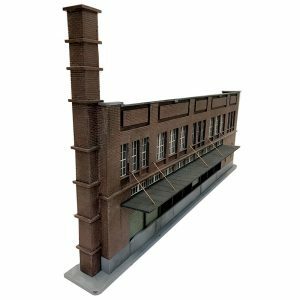 Everything required to complete this model is included in the kit! 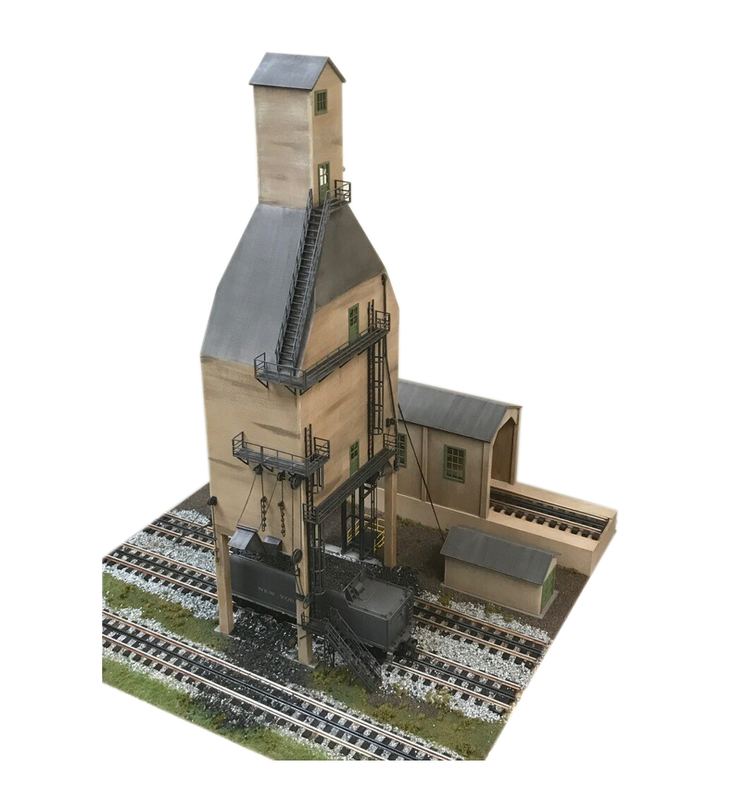 The TW TrainWorx Concrete Coaling Tower will be the centerpiece of your locomotive servicing area. The coaling tower services 3 individual tracks and features a coal ramp and hopper shed for keeping this massive coaling tower stocked with coal. The concrete coaling tower does not follow any specific prototype, as it was created using influences from several different concrete coaling towers found throughout the Midwest and Northeast. 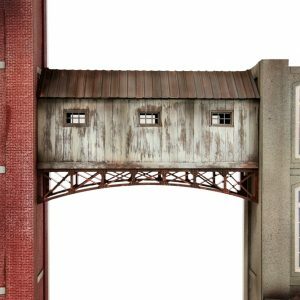 The impressive size of the coaling tower becomes even more stunning with the open grate walkways, staircases, handrails and ladders with safety cages. 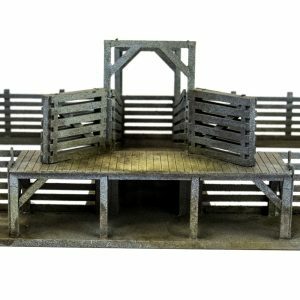 The attention to detail found in the coal bucket ramp, coal chutes and sand pipes make this a perfect model for foreground photography. Also included in the kit is a sand house with vacuum line to raise the dried sand to the top of the tower. A hoist house for raising the coal bucket with appropriate pulley details. A raised hopper ramp (with two coal chutes) and a hopper shed. No detail was overlooked in the development of this model. The kit consists of interlocking laser cut 1/8” MDF and 1/16” laserboard. All parts are tabbed and insert into each other for a very stable model. Windows include peel n stick adhesive for ease of assembly. Coal drums, sand pipes and sand pipe joints are resin cast. 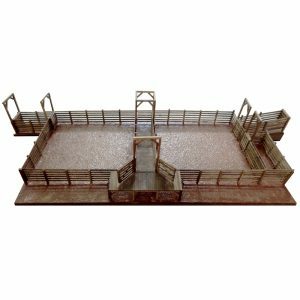 Everything required to complete this model is included in the kit! 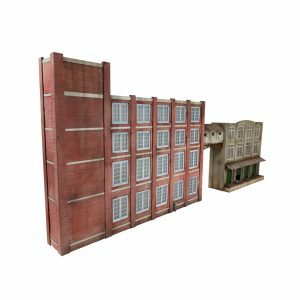 We have created an online video tutorial to show you how to paint and weather this model, step by step outlining the paints and brushes used to achieve the finish found on our model.Overall footprint of this model can be found on the diagram below. (attached in pdf form).